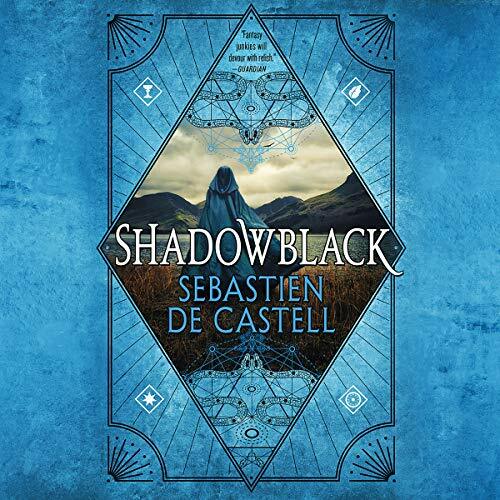 A failed mage learns that just because he's not the chosen one it doesn't mean he can't be a hero in the third book of an exciting adventure fantasy series from Sebastien de Castell. Kellen's life as an outlaw spellslinger is about to get a lot worse. In Gitabria, a miraculous discovery draws spies from all over the continent willing to kill to get their hands on it. Swept up in the race for power, Kellen is forced to join the pursuit. But the invention holds a dark secret-one that could spark a war. Young Man forced to grow up. In a desperate bid to escape the bounty on his head, assassin Girton Club-Foot has returned to Maniyadoc, but the kingdom he knew no longer exists. 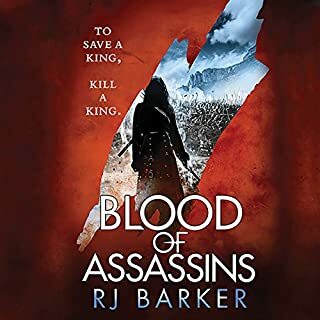 Three kings battle for supremacy in a land ravaged by war-and one of them is his old friend Rufra. With threats inside and outside the war encampment, Girton races to find the traitor behind an assassination plot. But his magic can no longer be contained and Girton may not be able to save even himself. It's assassin versus assassin for the life of a king. Girton Club-foot has no family and a crippled leg and is apprenticed to the best assassin in the land. He's learning the art of taking lives, but his latest mission tasks him with a far more difficult challenge - to save a life. 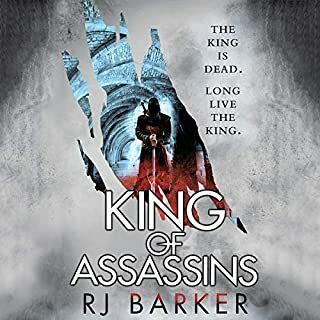 Someone is trying to kill the heir to the throne, and it is up to Girton to uncover the traitor and prevent the prince's murder. 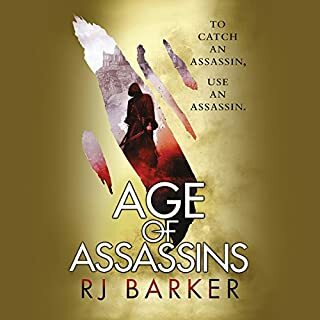 Age of Assassins is the first in an epic new trilogy set in a world ravaged by magic, featuring a cast of assassins, knights, ambitious noblemen, and fools. 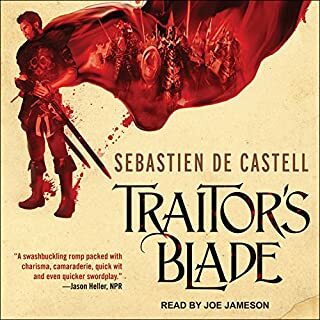 A failed mage turned outlaw must use guile and a handful of spells to challenge a dangerous rival in the second audiobook of an exciting adventure fantasy series from Sebastien de Castell. Forced to live as an outlaw, Kellen relies on his wits and his allies to survive the unforgiving borderlands. 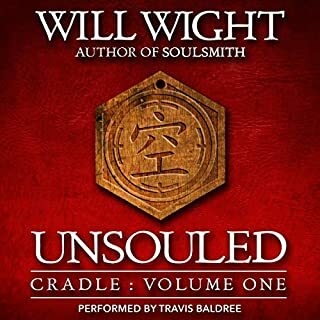 When he meets a young woman cursed with a deadly plague, he feels compelled to help. But her secrets draw powerful enemies, and it's not long before Kellen is entangled in a conspiracy of blackmail, magic, and murder. As the bodies begin to pile up, Kellen fears he's next. The second novel in a compelling six-title series, bursting with tricks, humor, and a whole new way to look at magic. 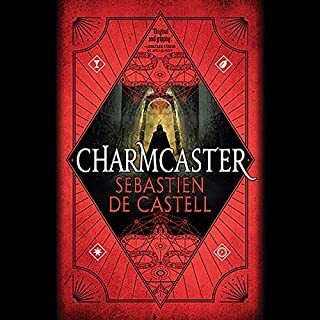 accidentally started on book 2 but love the narrators voice and was hooked just from the preview. Now that book 2 is done, I'm off to buy book one and figure out how it all began. have been telling everyone I know about this book in the last 24 hours. finished it within 48 on audibles. Lord I need some sleep even as I start book 3. I do sooooo love the squirrel-cat. Ok, can't wait to get started, I'm off to insomnia. When it comes to sequels there is always a tipping point after the first book. Many simply fall flat, and can never match what made the first book good. That's not the case with Shadowblack. This book takes the riding off into the sunset finish of the last book and crashes it back down into reality. I'd say the only draw back is the first 15- 20 minutes where the author is trying to acclimate the reader to the characters. As for the narrator, the guy was just as good as last time.